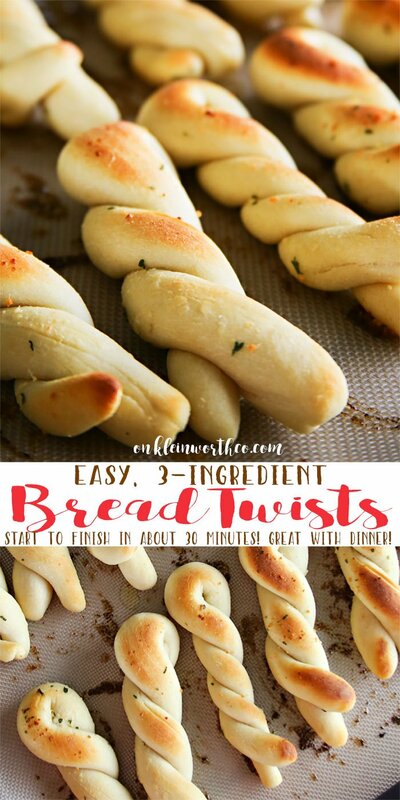 Easy 3-Ingredient Bread Twists are simple to make & take about 30 minutes- start to finish. The perfect side with any dinner & great for holidays & parties. I love bread! Love love love it! So that’s probably why I have shared so many bread recipes here. 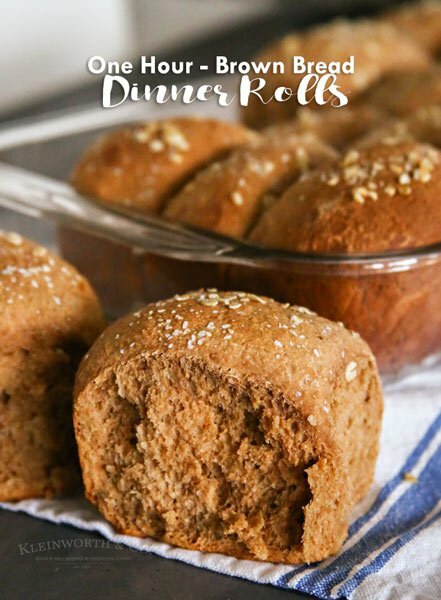 I’m always looking for new & creative ways to make a new dinner roll or something of the like to go with our meal. 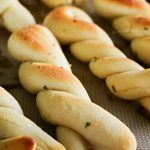 For these Easy 3-Ingredient Bread Twists, I had some leftover dough from when we made pizza, so I decided it would be great to use that to make some twists smothered in garlic butter. They were every bit as tasty as I had hoped they would be. Check out how easy they are to make! This dough couldn’t get any easier to make. 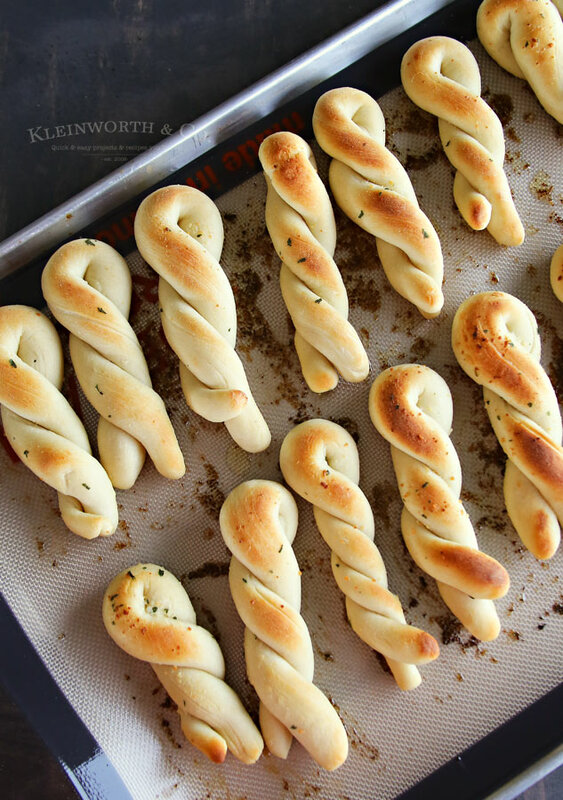 No yeast, no rising time & just 2 simple ingredients. 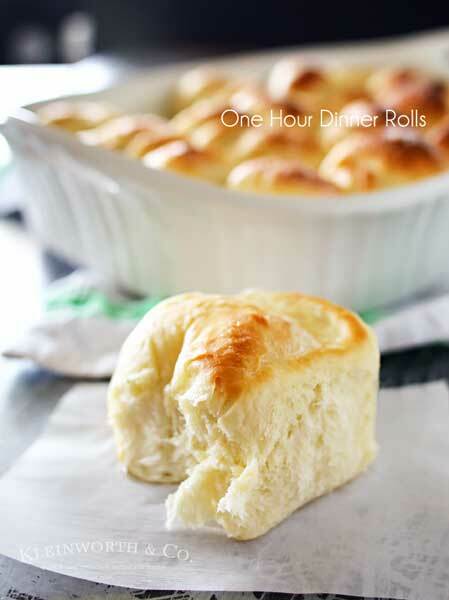 All you need is self-rising flour & a tub of plain Greek yogurt. Yep – that is IT! Nothing more except whatever you want to cover it in, which in my case was delicious Italian Garlic Butter. YUM-O! 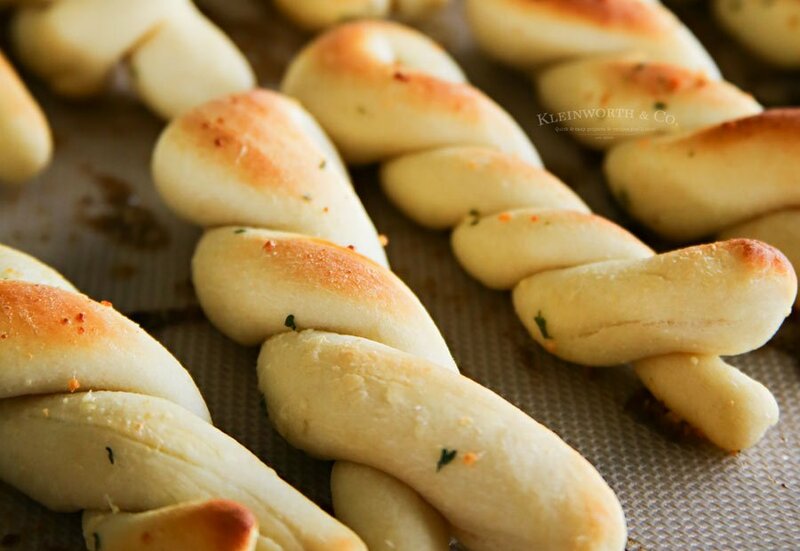 Just knead the two ingredients together, cut into even sized pieces, roll & twist. 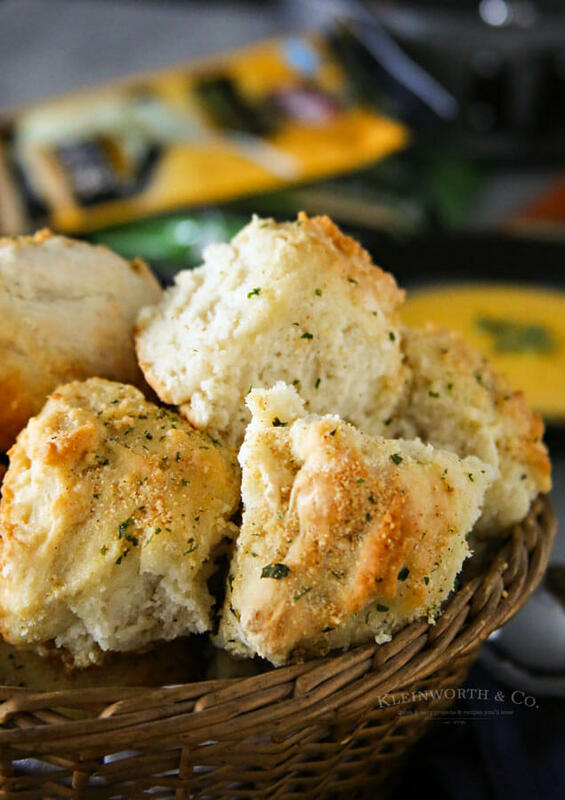 Then just brush with a little melted butter & bake these babies for about 20 minutes. Yes it’s that simple & no one will believe that you made them that quick & they taste so good. You have to give these a try! What will you serve them with? 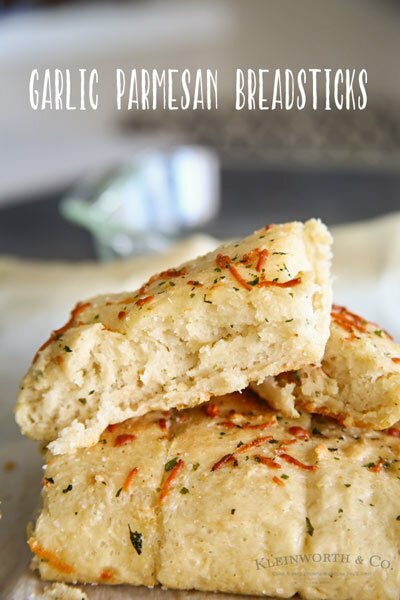 Looking for more of our most popular bread recipes? 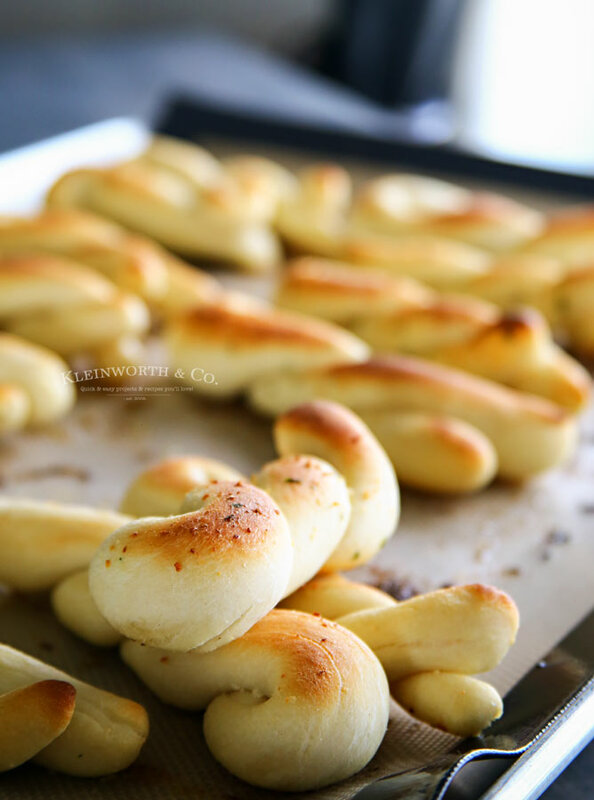 It should be illegal for breadsticks to be this easy. And delicious. Kinda obsessing over here! I agree – at least when they are hard it gives me a good reason to keep them out of the house. But these – no excuses, I can make them every night. Or even better – have the kids do it. These look so soft and delicious. They would not be safe around me – I’d plow through that whole pan in no time. 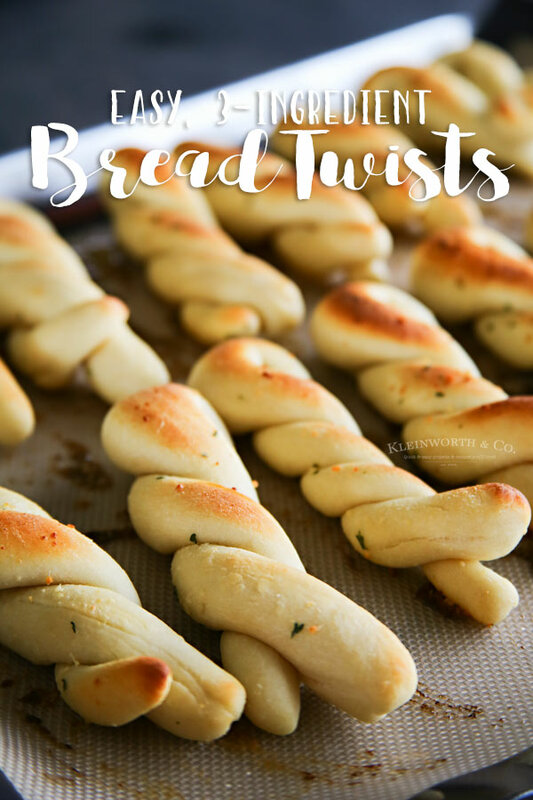 I love how pretty they are, too, those twists would look muy impressive on a dinner table and no one has to know how easy they are! So simple and they look SO good! 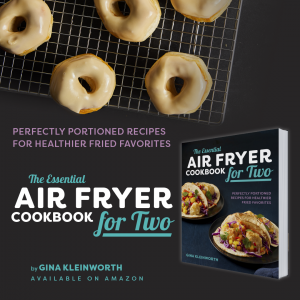 I love recipes with few ingredients – these would be great on pizza Fridays! Okay, I HAVE to try this recipe. 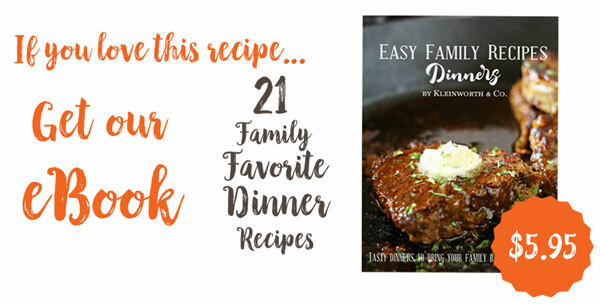 It looks like the perfect kind of recipe to make with the kids for our annual cooking camp, too. Thanks so much for sharing at the #happynowlinkup! 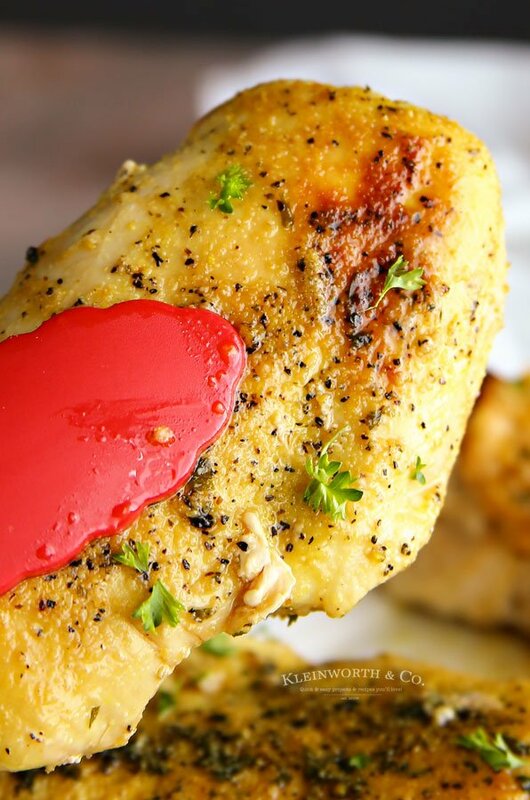 Just pinned and can’t wait to try this recipe. Thanks so much for sharing your awesome post with us at Full Plate Thursday! Hope you are having a great week and come back to see us real soon. Pinning! I’m fascinated by the chemistry of these.